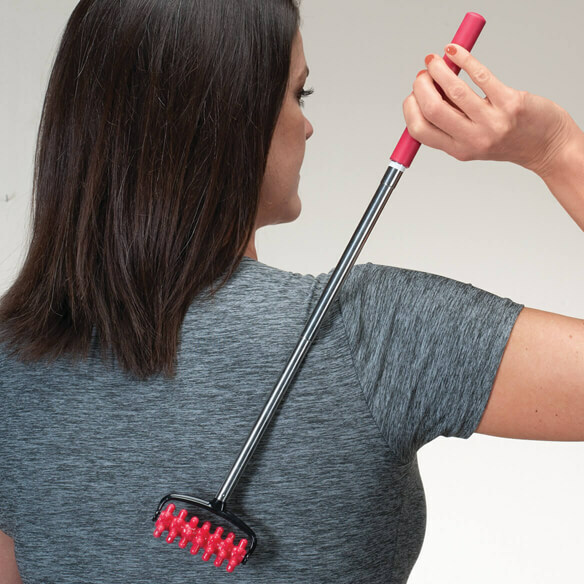 No aches, pains or tight muscles are out of reach of this high roller extendable massager. Telescoping massage roller with cushioned grip extends to 18"L to massage those hard-to-reach areas like your back, legs and feet. Deep-massaging, smooth-rotating mini rollers help loosen tense muscles, knots, and kinks to help you relax and feel better. Assorted colors; we'll choose for you. 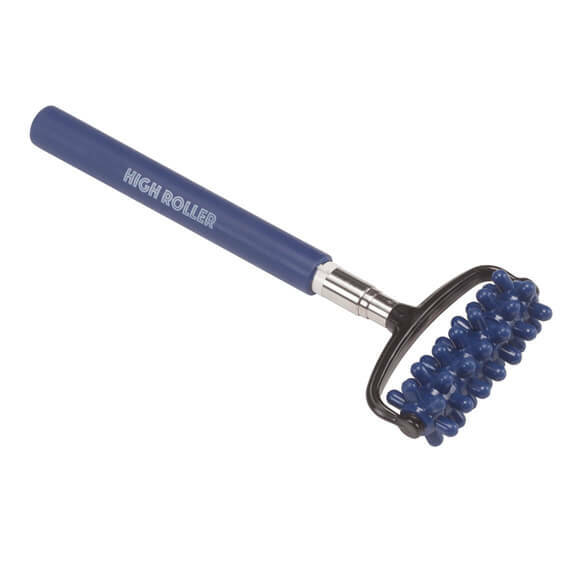 Roller massager measures 8"L when collapsed. for my feet. I hope it works.